The Polish Cadets of Buffalo has been recognized as the “Meeting Place of Black Rock” for serving as a focal point of organizational life and social activities in the Black Rock area since 1913—not only for Americans of Polish ancestry, but for members of all nationalities. The organization was founded in 1899 with the help of Rev. Adam Marcinkiewicz, the Pastor of nearby Assumption Church. The current building was designed by famed local Polish architect W. Zawadzki and was constructed in 1913. Originally a “men’s only” club, women were allowed to join the Cadets in 1932. For over 100 years, the focus of the Cadets has been on providing a place where congregation can take place in an atmosphere of peaceful co-existence, a place for youth to meet in peace and harmony and a place for the people of the community to facilitate plans for the betterment of Black Rock and Grant/Amherst. 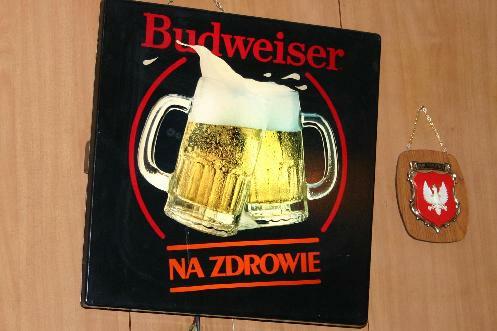 Serves up great Polish beer!